Élan interculturel is an intercultural organisation, operating since 2008 as a non-profit organization of public interest. We work with teachers and students, artists, business professionals, health and social workers, to whom we provide intercultural trainings as well as we manage international projects of cooperation. In Élan Interculturel, we are working towards a fair and integrated society where people of different faiths, beliefs and cultures have positive and meaningful relations. For us taking an intercultural impulse is to allow one to notice differences, without freezing them, to be able to appreciate them without forcing them. It is also taking the time to learn how to deal with uncertainty and the novelty of otherness, change. Finally, it is also to take responsibility to make visible and to act against inequalities related to differences in our society, and to better live diversity. Inova has been running since 2001 and provides consultancy services in the area of entrepreneurship and career development, with a focus on diversity and equal opportunities. In particular, our work has focused on supporting those who are under-represented or who face particular challenges to fulfil their potential in a professional setting. For example, we have worked extensively with women in non-traditional fields such as Science, Technology, Engineering & Maths (STEM) and our director, Marina Larios, is president of WiTEC, the European Association of Women in SET. We also work with a wider target group and have provided training programmes funded by the European Commission, to support others to become entrepreneurs or build careers following challenging times. This includes NEET young people, those aged 50+ and women who have been victims of violence, trafficking, homelessness or abuse, to name a few. Our programmes use coaching and mentoring to develop the ‘soft skills’ needed to be successful in business. We provide one to one coaching, workshops and Enterprise/Career/Mentoring Circles™ – Our Circles are a series of products developed by Inova which combine mentoring, coaching and action learning to support individuals to reflect on and develop either a new or existing business, change or progress in their career or consider their personal life goals. This methodology was recognised by Aberdeen University business academics as a successful programme for the development of entrepreneurial skills. 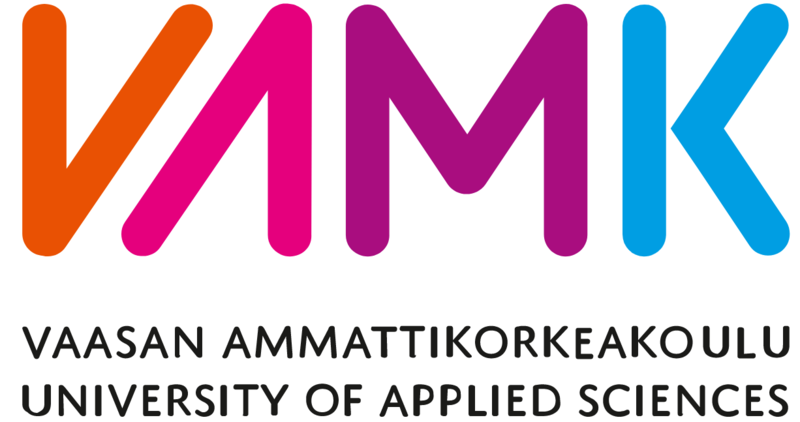 Vaasa University of Applied Sciences (VAMK) offers education in technology, economics, international business, health care and social services. VAMK’s focus areas are the energy sector and combining entrepreneurship with internationalism. VAMK is a non-profit higher education institution. The participating unit from VAMK in the Western Finland Design Centre MUOVA. It is a design research and development centre of VAMK. Muova promotes international competitiveness of companies and organisations, runs development projects and processes and applied research, and creates innovative methods using creativity and design.